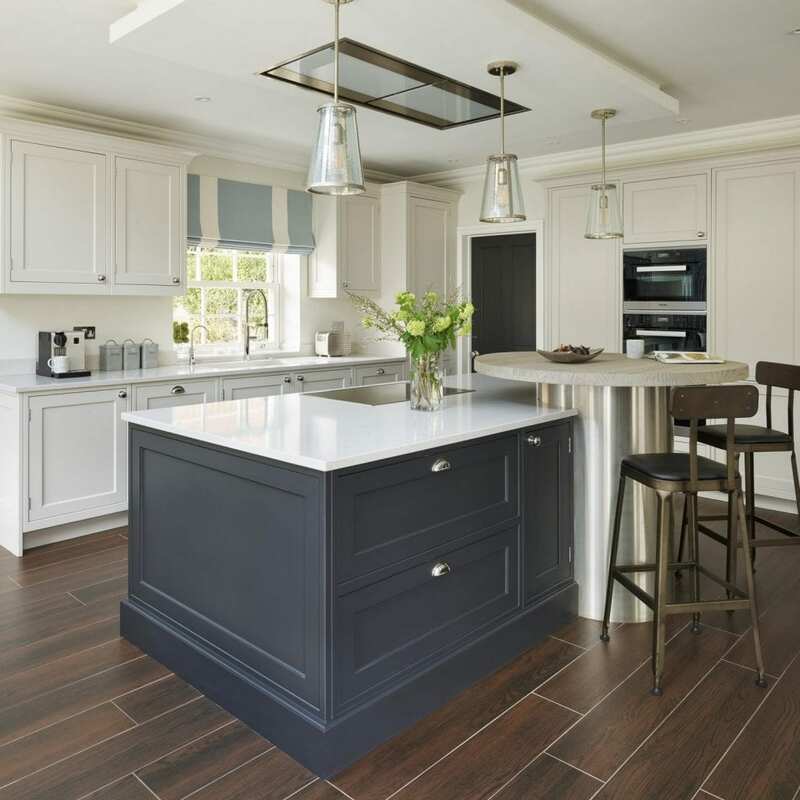 When seasoned renovator, Gaby Roberts, and her husband Simon saw a plot of land become available in their dream location, they were quick to make the purchase and begin work on building their dream home. Having renovated their previous property, Gaby knew exactly how much work would be involved. 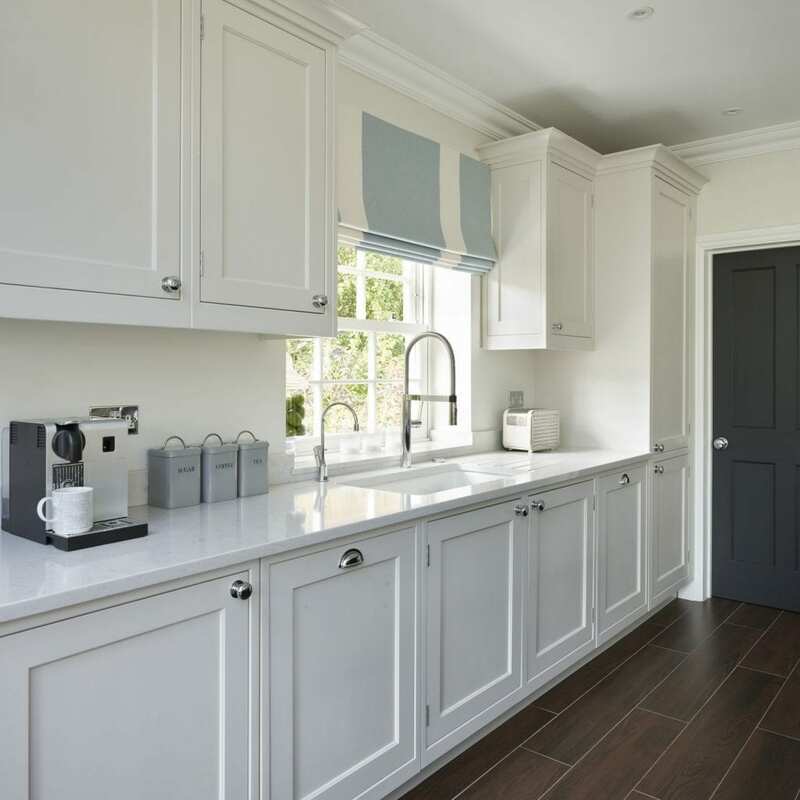 But with a blank canvas, the prospect of creating their perfect family home complete with their dream kitchen was an opportunity too exciting to miss. 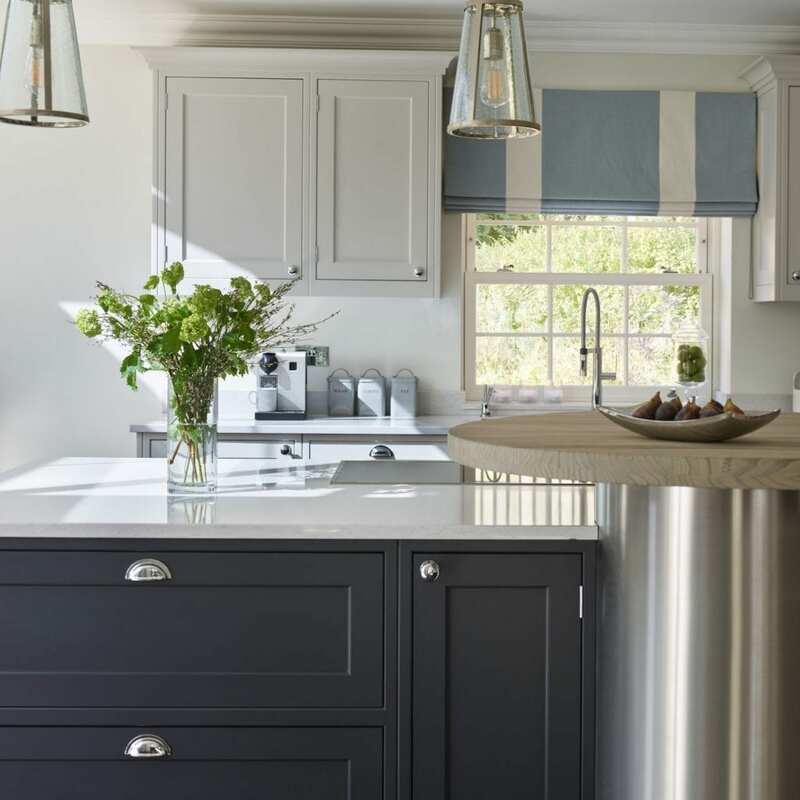 The breakfast bar features a river-washed timber top and statement stainless steel drum and was originally designed for Gaby and Simon to enjoy midweek breakfasts together. 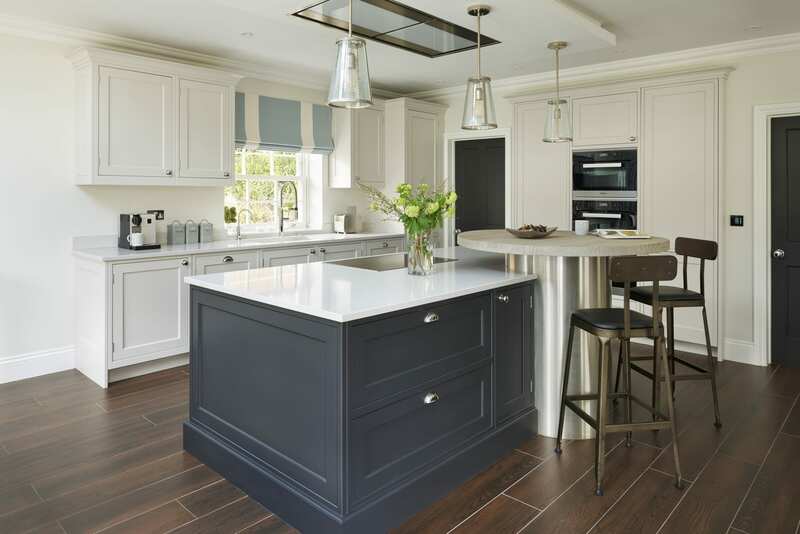 However, in the kitchen planning stages Gaby pointed out that even at weekends with the full family at home, everyone is coming and going and breakfast happens in stages, so the breakfast bar quickly became top of the wishlist. Along with the breakfast bar, Gaby’s wishlist was quite specific. 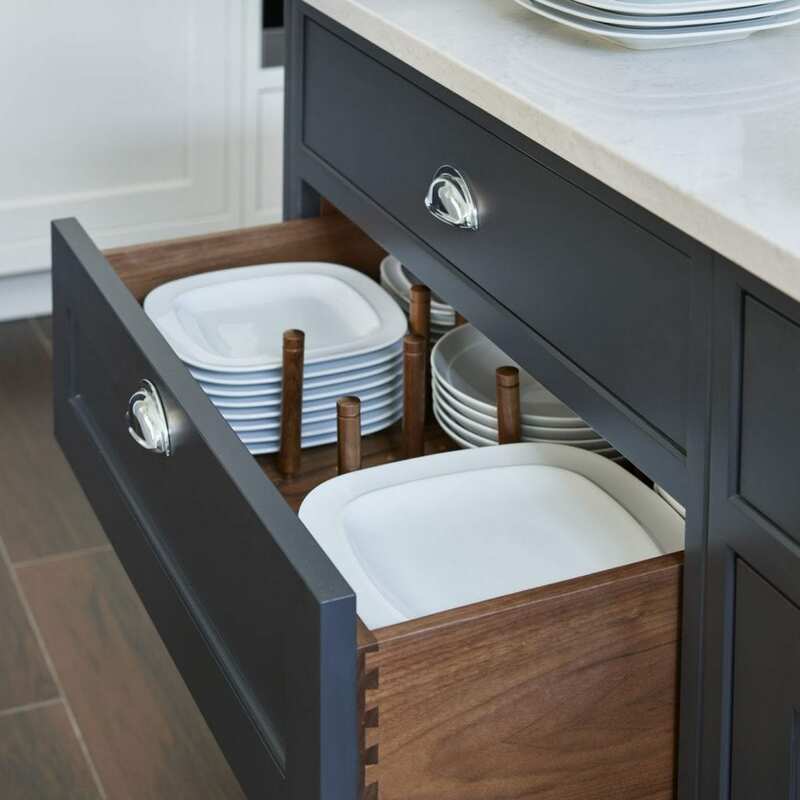 It included; an island large enough to prepare food, plenty of storage, and a tap that could generate boiling and filtered water. 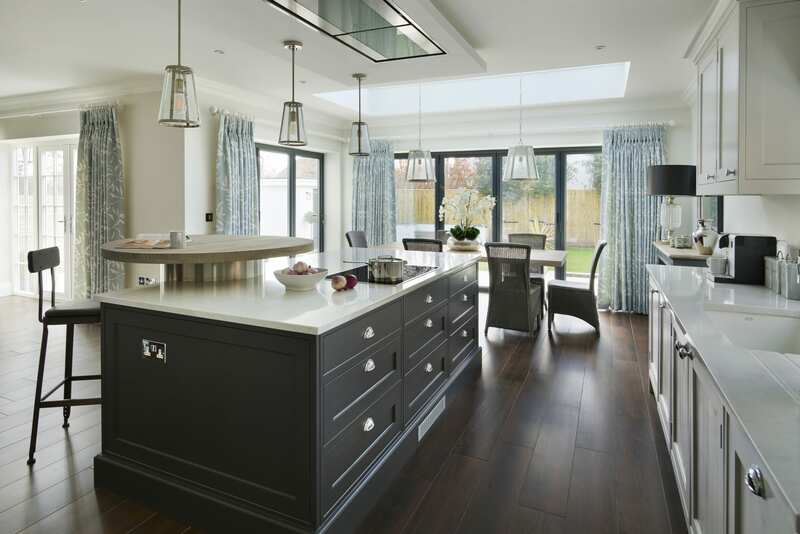 The 2.5 x 1.2m kitchen island, though not central in the room, is very much at the heart of the design. 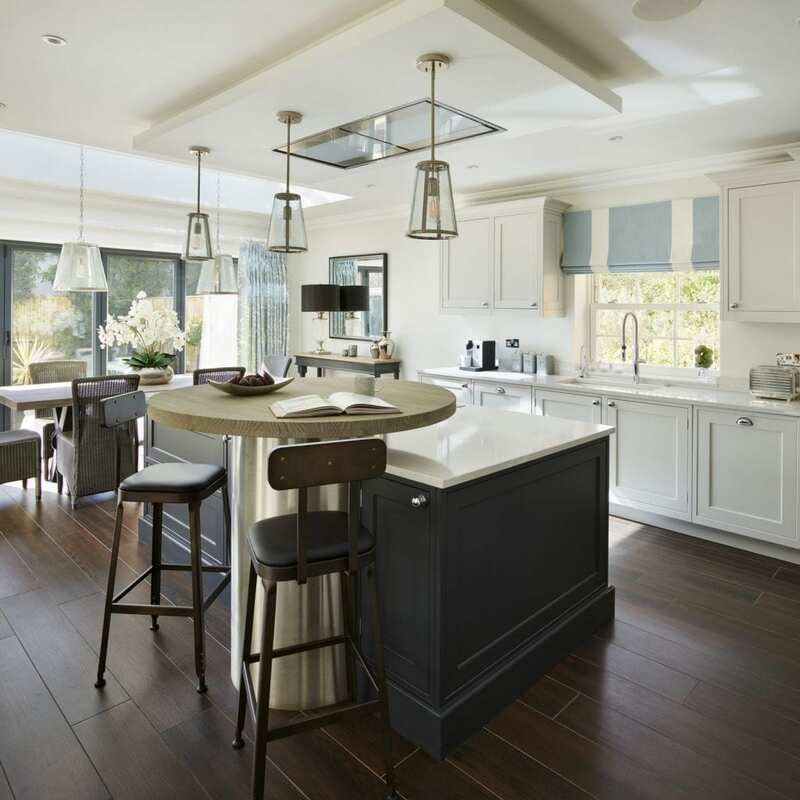 With plenty of food prep space and within easy reach of the fridge and larder cupboard, the island is the main cooking space in the kitchen. 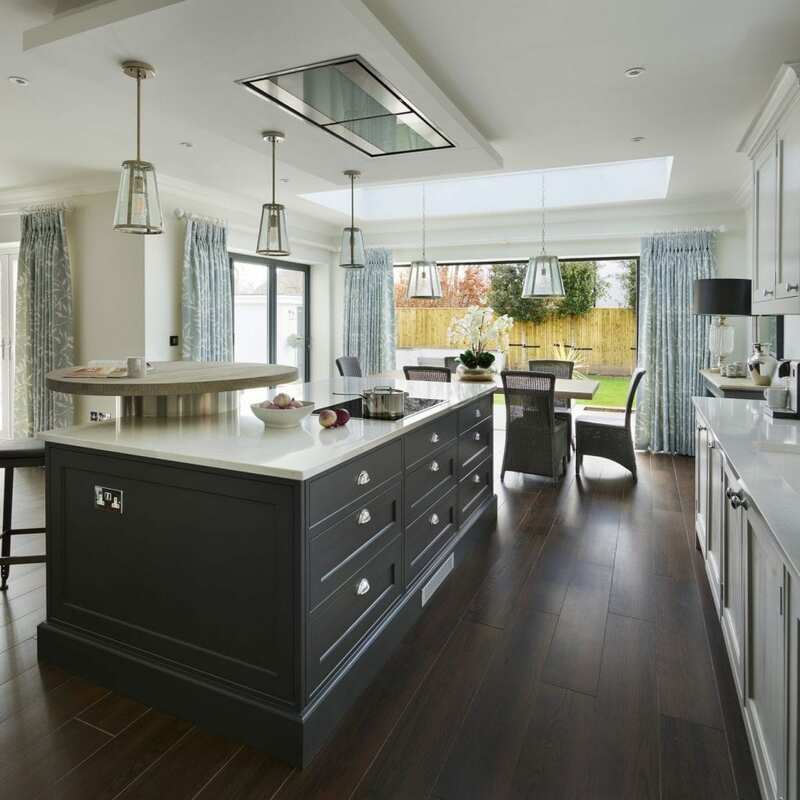 The configuration of the kitchen island places the induction hob so that when cooking, you naturally look out over the room. 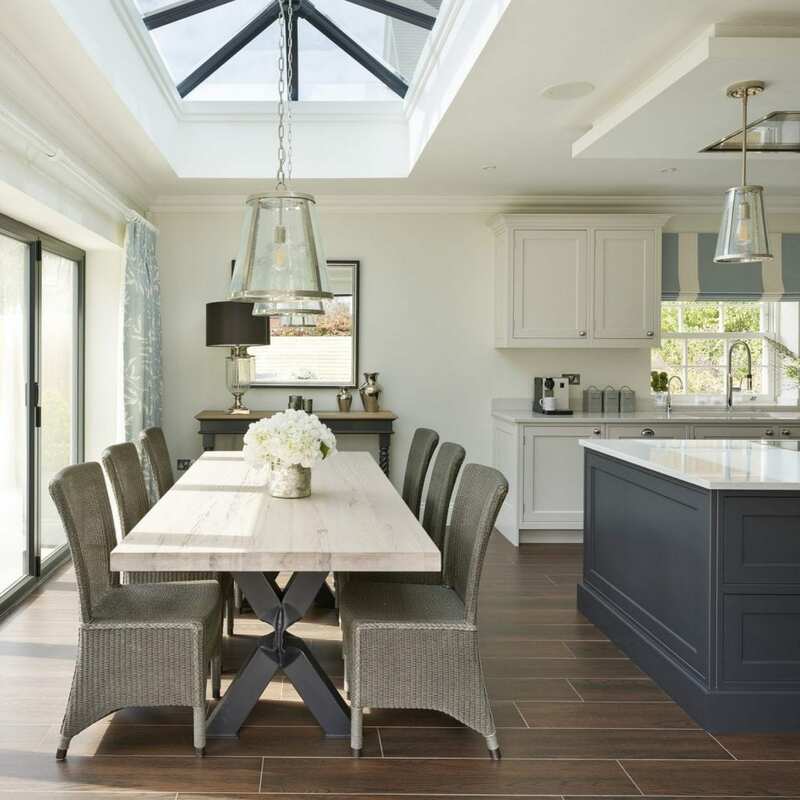 This enables Gaby or Simon to enjoy the company of family at the breakfast bar, dining table or living area whilst cooking, without sacrificing any practicality. 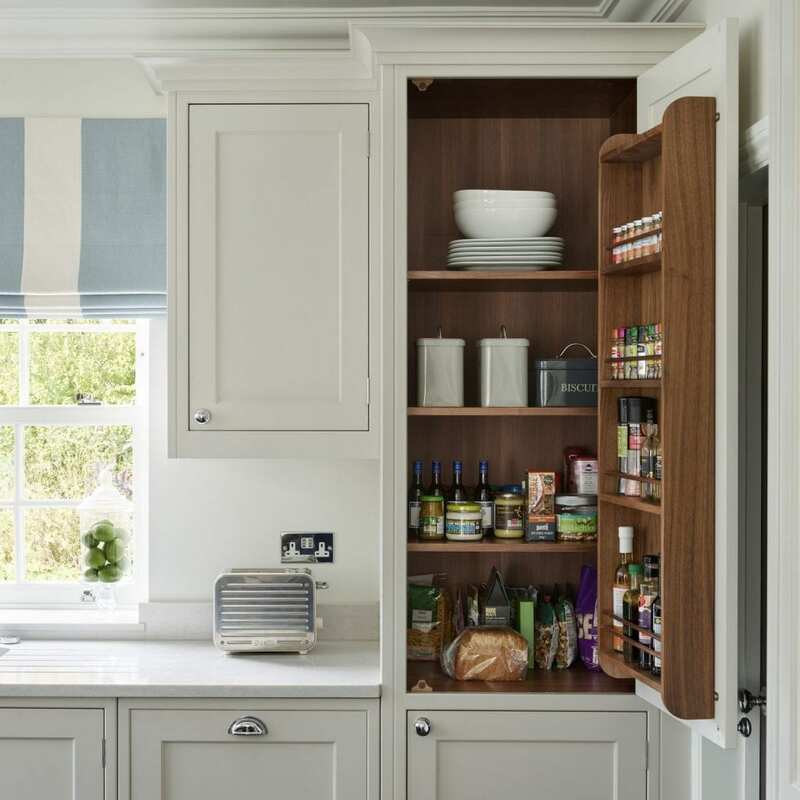 The larder cupboard, nestled in the corner of the room, is where Gaby keeps all the items she frequently uses, with plenty of drawers and cupboards elsewhere to store everything else.